On the weekends we try to spend as much time outdoors as possible, so yesterday morning we stopped by our local farmers market and did a little outdoor grocery shopping. I am a firm believer in supporting local growers and buying fresh fruits and veggies whenever possible. The vibe of the farmers market is communal, free spirited and friendly. I love talking to the farmers and hearing how passionate they are about what they grow and sell. Little chubby feet wearing the only shoes that fit him. Seriously! Hmmm now this is interesting... Okay this is a little too organic for me. NO THANK YOU. I did ask where their colostrum came from and he said, "Mammals." Mmmmkay. 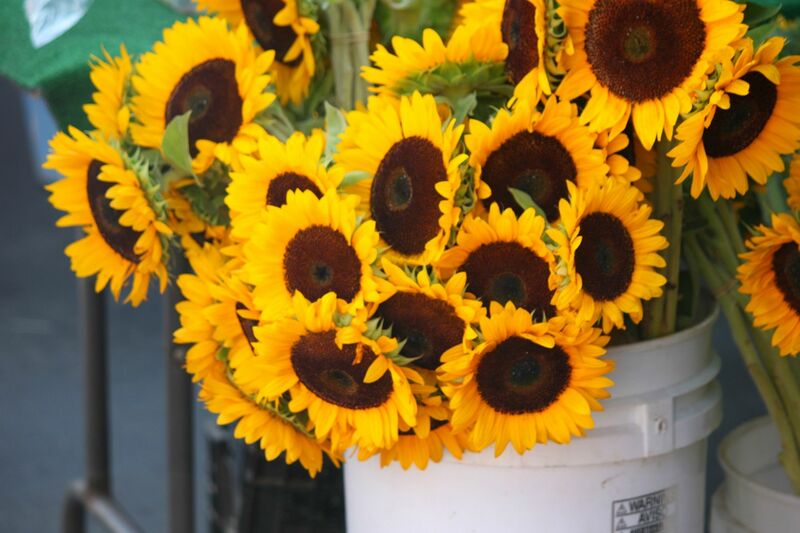 Buckets and buckets of beautiful sunflowers. One of my favorites! Do any of you visit your local farmers market on the weekends? What are your reasons for going? If you haven't been to a farmers market yet I definitely recommend you make a little trip out of it! Such a fun experience. You still have a chance to enter this giveaway if you have not entered yet. I try my best to wake up early and attend the farmer's market here in Charlottesville. We like to go because the food is fresher and cheaper than whole foods. Haha aww that "little chubby feet" is so cute! I literally lit up and smiled when I saw that photo! Adorable! I love the local farmer's market as well! What beautiful photos here too. Yum. 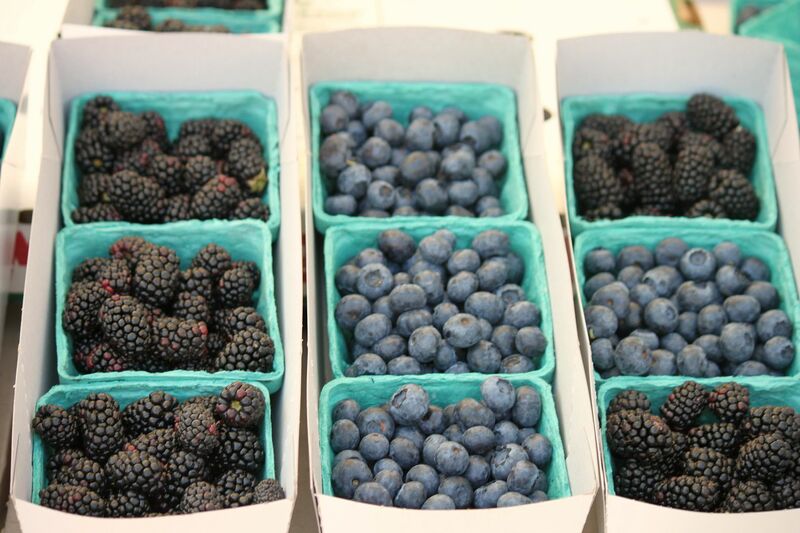 Those photos make we want to go right to a farmers market NOW and get some blueberries! I need to find out where to go in my area. Hi Lindsay, I am visiting you from FTLOB and wanted to say hello...I have only read this one post from you, but I know that I already like you. :) First: I am a HUGE supporter of locally grown food (especially living on a small island like I do) and I love me a trip to the Farmer's Market! Second: you are a girl after my own heart, taking photographs to document your trip! I wrote a similar post last year during a trip to one of our Farmer's Market. I am always mesmerized by all of the beautiful colors! Your photography is beautiful, by the way! I am looking forward to reading along and learning more about you! Have a wonderful Sunday. We haven't gone yet, but I'm hoping to next week! When we lived in Monterey, CA, the market was within walking distance and we LOVED going there! Colostrum powder?? That's going a bit far for me, too! Oh how beautiful. 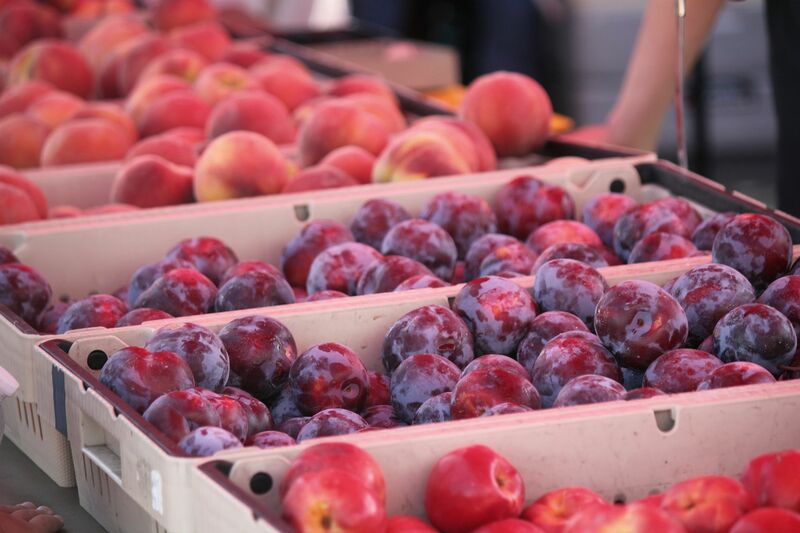 The colors you captured at your farmers market are so vibrant! I haven't been to our farmers market in so long and was just thinking how I need to get there next weekend. After seeing your post, I now know I must go. Thanks! i need to stop by my local farmers market after looking at these pics! and those lil chubby feet! precious!! 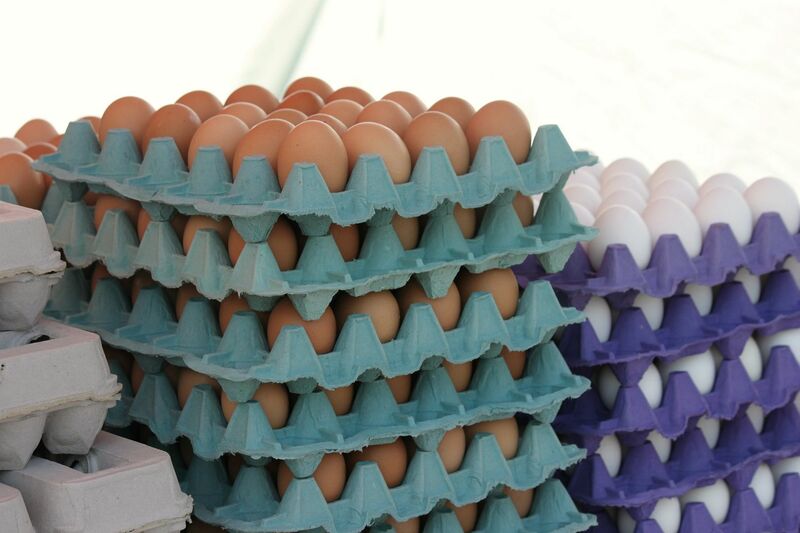 Great post and farmers market photos! I didn't make it to the farmers market to get zucchini this weekend, but I will next because I want to make that recipe you posted last week! i always try to if i'm in nyc for the weekend. union square's greenmarket on saturday, best milk i've ever tasted, hands down. and it feels good to support local, too. thx for your comment on my blog.. I love the farmers market!!!! I love to go and see alll the beutifull colors and different foods. Its always so tempting to buy some fresh fruit or vegitables! Kunquats.....hmm.....I may have heard of them before. SOunds cool. I love hearing of new vegitals or fruits and then trying them as soon as I can! Who knows, this could be my new favorite. I love farmers markets, we don't have awesome ones in my area. But when we visited family in California we went to some really cool ones! I LOVE the idea of supporting local vendors and farmers. Your pics are beautiful. I love farmers markets but sadly haven't had the chance to make it out to one this summer yet, need to make more of an effort before the season is over. I like the idea of supporting the farmers and all their hard work plus you can't get any fresher than that! Everything looks so lovely Lindsay. Just mention the word "farmer's market" around here and you can immediately add an extra 50% onto the price of the produce and it brings out all the pretentious trendy people in droves, thinking they're getting a bargain. I find it better to take a half hour drive out of our capital city to small road style stalls of people selling directly from their farm. You can be guaranteed it's fresh. I LOVE farmers markets! When I lived in the city it would get me up early on a Sunday morning (which is a big thing for a non-morning person!). Sadly, we don't have any in our town, but I'm hoping that will change eventually. Your farmers markets looks beautiful. I seem to remember Luca taking colostrum powder as a toddler to help his immune system, prescribed by a naturopath. I think it came from cows? I do wonder what he meant by "mammals" though, as it seems such a vague term! I enjoy going to the farmer's market. 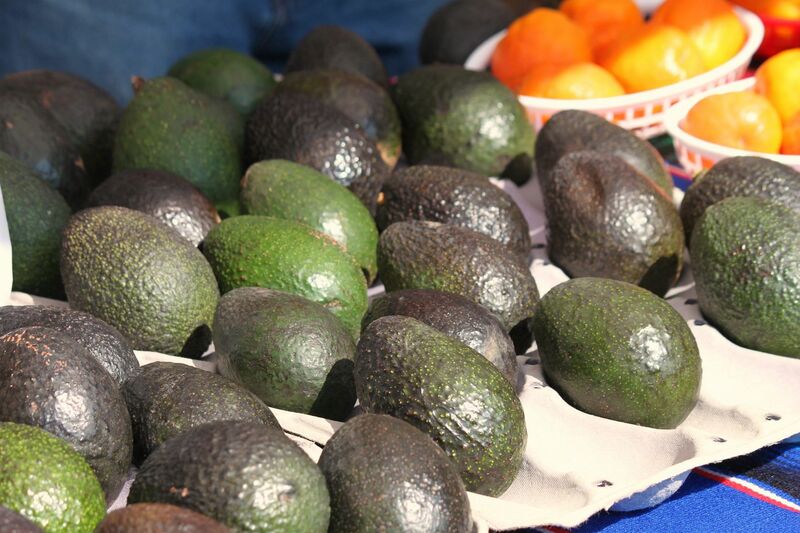 Not only does it support the local farms and economy, but the variety of fruits and veggies is so much larger that that of the supermarkets or grocery stores. Love that! Mmmm...those fruits look mighty tasty. I wish there was a local farmers market here but I can't wait to have my very own garden so I can grow my own fruits and vegetables. You have gorgeous pictures! I love going to farmers markets and seeing all of the yummy looking food. Just found your blog and I am going to go be your newest follower! yum those berries look delicious and i completely agree it is very important to support local farmers. support the smaller people! Looks like it was a fun day at the market. I love our farmers market out here. It's always really busy, which is a good thing. And I totally agree with supporting local farmers. Ps--you take really great pictures. Can you teach me please?? How fun!! We have a really big Farmer's Market downtown and supposedly it is really fun...BUT I have never been there! Someday though! i spend about $15 at my neighborhood farmers market every thursday and get so much good stuff for that little bit of money! so yes, i think it's very important to support local farmers! This is something I truly believe in....everything looks amazing. LOVE me local produce. You take the best pics! Yep! It's all about buying local! And I love all of your beautiful pictures. The colostrum makes me laugh. My friend just bought some the liquid stuff recently at a farmers market and I don't know if she's had it yet, but it sounds as frightening as it looks! I love love love our farmer's market with all my heart. We got to drive past some of the farms on our road trip today too. So fun. Um, mammals? Uh-huh. Did they say what one would do with a bag of their product exactly? 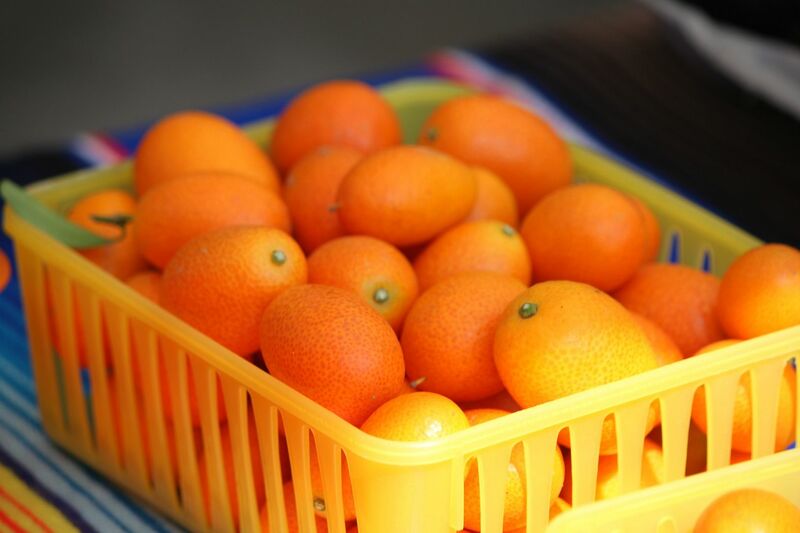 what beautiful pictures, I love the freshness of the produce. 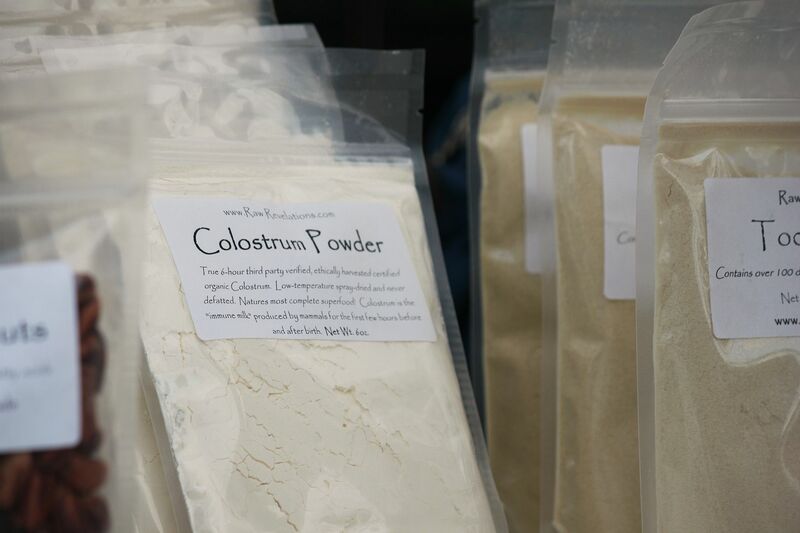 CAn't bellieve they sell colostrum powder, where on earth...goodness! I love going to the Farmer's Market. It's fun to see all the interesting things you may find. And it's a great way to support locals. I'm all for it! I love the farmers market! Those sunflowers are gorgeous! we went to a farmers market last saturday. i love them! i'm posting about it tomorrow. :) cute pics! 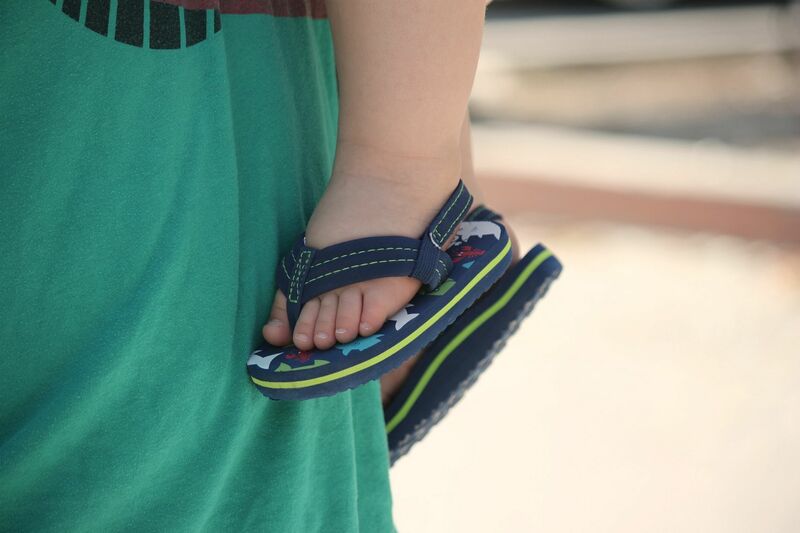 I couldn't fit any shoes on my lil' guy until he was well over a year old! I love chubby little feet! you just convinced me. i will be going to our farmer's market in the morning. I LOVE Farmer's Markets! In Rochester, NY, they have one year round! And it SNOWS there. The delicate undereye area... I fear my under-eyes will be all nasty and saggy when I'm old cuz I wear makeup every day. I've been told to lightly pat on makeup with the ring finger (the weakest) so as not to disturb the delicate, tissue-like skin yet I've found NO way to take off makeup without rubbing, pulling or tugging. I've tried lots of removers in liquid, lotion and towelette form. The ideal would be to have something you splash on and it all dissolves but I usually have to rub with my fingers (gently of course) or take a q-tip to the offending remains. I really like the remover I have... It's the best I've found and doesn't bother my sensitive, contact-wearing eyes but it still requires touching my face. Any advice? Your pictures are outstandingly gorgeous. These are beautiful pictures!!!! Looks like so much fun. I love that these are family outings! How cute!